Discussion in 'Star Citizen' started by Light Cavalry, May 7, 2016. Star Citizen 2.4 Is out now! I'm sure I'm not the only one hyped about 2.4 but it adds persistence, currency, buyable weapons, armour, clothes, and etc, as well as enhanced missions, a flyable starfarer, and a hangar ready reliant. After months of construction, the Casaba Shopping Outlet has opened up on ArcCorp!Interested pilots can now purchase the latest fashions from around the frontier at affordable prices. Cubby Blast has also fixed the main sales computer, and is ready to sell eager pilots weapons, flight suits and armor sets. The shop clerks in ArcCorp have received some graphical improvements to be less soulless. Port Olisar has been renovated. While some areas are still under construction, completed sections include improved atrium and the opening of several new shops, including Casaba Shopping Outlet, Garrity Defense and Live Wire Weapons. Crusader Industries has made lockers available in both the Ez Hab rooms and outside the Port Olisar airlocks, to allow pilots to change their clothing during long stops.If a player wishes to change their default civilian clothing, they will need to go to the shops in Port Olisar or ArcCorp and “Equip” items they have purchased. This is a very temporary implementation until we have a better equipment access system implemented. Characters now spawn into Port Olisar in their civilian clothing by default. Characters who exit Port Olisar in civilian clothing rather then a spacesuit will die. Comms Arrays will now automatically become disabled after a certain amount inactivity. New landing pads have been added to all of the Port Olisar struts to allow them to hold larger ships. The asteroid fields around Crusader have proven to be incredibly dangerous to shipping traffic after the veritable flood of pirates into the area.As a result, enterprising salvage-hungry pilots may find many more wrecks and valuables in need of recovery in the Yela asteroid fields. Likewise those who are enlisted by Tessa Bannister (at the local ICC Probe Station) may also find the odd keepsake of the poor lost souls who perished in the remote asteroid fields. Security Post Kareah has received some renovations, including the addition of improved security station, airlock monitoring and contraband. Hangar selections will no longer be available via the RSI website. Players with multiple hangars can now select the Hangar they wish to use from the Main Menu of the game! Inside of the “Options” menu, in the Game Options section, there is now a drop-down menu that will allow players to select which Hangar they would like to use.This selection will persist between sessions. Players who change their default Hangar while still inside the Hangar will need to exit and re-enter the hangar to see it update in the game-client. Ships can be selected inside the Hangar via the Port Modification App. The expansion bays for each Hangar are temporarily out of service.This is temporary while we rework certain aspects of the expansion bays, so that they function alongside the Port Modification App. The VFG industrial central hangar has been expanded to allow owners of large ships to spawn craft in while the expansion bays are worked on. Likewise the Revel & York central hangar bay is now Extra-Large to allow owners of the Starfarer to spawn it in while the expansion bays are worked on. The character loadout selector has been removed from the Hangar.Characters now all load in with the same RSI space suit by default. New civilian clothing and armor can be obtained from ArcCorp and Port Olisar. Clothing can be equipped from the lockers on Port Olisar, or by interacting with previously-purchased items in ArcCorp. The Holotable has been removed from the Hangar… for now.Players will be able to modify their ships via the Port Modification App. Crusader Industries has identified a potential weakness in their criminal monitoring network at the understaffed Security Post Kareah. As a result, Crusader Industries has constructed a much improved security station, armory and are looking to contract reliable pilots in the area as security guards to help protect it. “Defenders” who repair enough Comm Array or ICC Probe missions will get offered a contract from Crusader Industries to protect Security Post Kareah from nefarious parties. Newly recruited security guards will receive a weapon from Crusader Industries armory, and will need to defend the station for 10 minutes without dying or allowing any criminals to breach the main security terminal. Security guards are authorized and encouraged to eliminate any trespassers that enter the station, with a 100 aUEC bonus instantly awarded per trespasser that is dispatched. Added a “Public Enemy” mission that will trigger for all Defenders if the Outlaw player attempts to interact with the hacking terminal. In response to the crackdown, Outlaws in Crusader are getting more organized. Mysterious allies are offering missions to undermine and derail the efforts of Crusader Industries. Outlaws and Defenders in Crusader will receive missions to hunt one another in Crusader, with varying rewards.Defenders will lose their mission to hunt Outlaws if they are killed by a Outlaw. Outlaws will receive a mission to kill the new security guard at Security Post Kareah. Outlaws who have a bounty on them can no longer be tracked via mobiGlas if they are outside monitored space. Capped the Outlaw wanted level that a character can obtain for turning off Comm Arrays at 2. Outlaws will now receive a mission to keep the Comm Arrays offline.The Outlaw will receive an aUEC reward every time they kill a player attempting to turn on the Comm Array. Both “Defender” and “Outlaw” missions award AUEC. The timer for Outlaw Wanted Levels only counts down while the account is online on Crusader, and will persist between sessions. Outlaws no longer receive a special load out when they respawn. Character names will appear “Red” on Augmented Reality when they have Outlaw wanted levels, and they will appear as hostiles when targeted in space. Outlaws at Wanted Level 5 will no longer get kicked from the server when they are killed.Outlaw Wanted level will instead persist between sessions. Each Outlaw Wanted level now persists for a number of hours (not minutes) equal to the rank of Wanted.Wanted Level 1 persists for 1 hour, Wanted Level 2 persists for 2 hours, ect. Wanted Level 5 would persist for 5 hours. Going all the way from Wanted Level 5 to Wanted 0 without taking actions to decrease the Wanted Level would take a total of 15 hours. The hack time needed to reduce a wanted level has been increased, and is now based on the players current wanted level.Time needed to hack terminal is now 1 minute per wanted level. Example: To reduced your wanted level from 5 to 4, takes 5 minutes. The “Defender” reputation of a character on Crusader will persist between sessions.The “Defender” reputation of a player in Crusader is not currently displayed on the HUD. A players “Defender” reputation is permanent assuming no criminal actions are taken. Performing any criminal action will instantly erase any good reputation earned, and place them at Wanted Level 1. We have added a new currency type that can be earned in-game specifically for testing purposes – AlphaUEC. aUEC is currently awarded from performing both Outlaw and “Defender” missions in Crusader, and can also be earned by salvaging rare valuables in the asteroid fields around crusader. ICC Probe, Comm Array and Covalex PI missions will award aUEC.The Covalex PI Mission rewards more or less aUEC depending on the ending you receive. aUEC can be used to purchase items in both Port Olisar, Crusader and Area 18, ArcCorp. Every account will start with 2750 aUEC. aUEC can be tracked in-game via mobiGlas and will be periodically wiped as needed throughout the Star Citizen Alpha. We have enabled ship respawn costs for Port Olisar! Destroyed ships will now have a respawn timer after being destroyed. Player can pay a aUEC fee to bypass the timer, and the cost to bypass the timer decreases over time. The respawn timer and cost differ from ship to ship, with small ships generally being much faster then large ship. The timer will continue to countdown, even while player is logged out of Crusader. Repairs, Restock, and Refuel in Crusader now cost aUEC. When a ship lands on a Cry-Astro pad, the mobiGlas of the pilot will open automatically to the Cry-Astro app and show the character which service they need and how much each one costs.The pilot can then select which ones they wish to purchase and then “Confirm” the service purchase. We have introduced the first iteration of the Shopping Experience to both Port Olisar and Area 18! Shopping is accessible through Augmented Reality (on by default now) and mousing over any item you are interested in will give you the name, description and price of an item. AR will also present you with two options – “Try on” or “Buy Now”, which users can toggle between via the mouse wheel or “dpad down” on Gamepad.Either option can then be selected via the standard “Interact” keybinding, which by default is via “F” on the keyboard or “Y” on the Gamepad. “Try On” will bring up a dressing room preview of how the item looks. “Buy Now” will take you to the checkout screen, where you can confirm your purchase before it is delivered to your locker on Port Olisar.There is also a option called “Deliver To” that is greyed-out, pending implementation in a future iteration. If you already own an item, the UI will show “Equip” instead of “Buy Now”. Cubby Blast (ArcCorp), Live Wire Weapons and Garrity Defence (Port Olisar) offer all of our currently available weapons, flight suits and armor sets. Casaba Outlets offer civilian clothing in the form of hats, footwear, pants, shirts and jackets.The main Casaba Outlet store on ArcCorp has a much larger selection of attire. Items purchased via the shopping experience will also persist from session to session.Please note that throughout the alpha and beta of Star Citizen we will periodically wipe items back to a clean state status for further testing. One of the biggest features we’ve implemented in Alpha 2.4.0 is our first iteration of true server-side Persistence. Persistent databases are what allow us to store information on items, ships, and actions that a player has taken, such that they can return to exactly where they left off session-to-session. This is a huge step forward into the “Persistent” part of making the “Persistent Universe” the vast universe we all look forward to. As new features are developed during Alpha, we anticipate that we will periodically reset the database to make way for new changes and fix problems that may have been diagnosed. What is this? What does it do? What doesn’t it do! This handy application allows pilots from all over the ‘verse to directly modify their Hangar and the loadouts of their ships. This fun-filled new option is housed as part of the mobiGlas and AR suite, and is enabled by default when in the Hangar. Your AR vision will automatically show you interaction points (nodes) in both the Hangar and on your ships. Nodes are places where you can place decorative items and ships. This is how you will place ships in your Hangar without use of the RSI website. These nodes appear as blue points with cross hairs. When highlighted, the Port Mod nodes appear as a green circle with text that indicates what kind of node it is. You can interact with a specific Port Mod Node by highlighting the node you want to use, and Left-Click with your mouse. This brings up a menu that will show you a range of information. Including all available ships or decorative items that can be placed in that node, and any item or ship already placed that you might wish to remove via the large “X” at the top right of the UI.If an item exists that would be eligible for the node, but is already in use by another node, the Port Mod App will inform you of the Hangar that your ship or item is currently located. When viewing ships, the nodes will also indicate places where you can modify components on your ship! The Port Modification app works in both the Hangar and Crusader! Changes made in the Hangar will carry over to your Arena Commander simulation sessions, and changes made in Crusader will carry on in the ‘verse from session to session. *Please note: *The loadouts of the Vanduul Scythe and Glaive ships cannot be modified, as they use proprietary components. mobiGlas now shows both AUEC (Alpha UEC) and UEC in the top right corner of the main mobiGlas page. Augmented Reality is now on by default. Chat window is now open by default (Toggle ‘F12’ to open/close window). The MISC Reliant (Base) has been added as a Hangar-Ready ship. The Starfarer (Base) and the Starfarer Gemini are now flight-ready, and available for pilots to summon in Crusader. Ship health has received a balance pass across the board.Ships that will have seen an increase in health include the Mustang (All), 300i and Freelancer. Ships that will have seen a decrease in health include the Aurora (All), 325a, 315p, Hornet (all), Gladiator, Vanguard and Constellation Andromeda. Ship armor and shields are currently going through a review for potential rebalancing, and may experience minor changes. A new ship weapon has been added to the game in the form of the AMRS PyroBurst Plasma Scattergun.This Size 3 weapon fires a close-range but wide burst of plasma energy at the target, with a secondary detonation on impact. A whole slew of animation changes have been made to support the new shopping experience. We have added a slew of new items from armor to civilian clothing that players can obtain and use through the Shopping experience.Our initial selection of civilian clothing includes five styles of jackets, three different shirt styles (in a wide variety of colors), six styles of pants (also in a wide range of colors), shoes and hats! We also have familiar Marine and Outlaw armors, flightsuits and the full assortment of FPS weapons. Added airlock death animation and sound effects. FPS weapons now function inside of ships with Interior Physics grids. These include the Constellation Andromeda, Retaliator, Starfarer, Vanguard Warden, Freelancer and Cutlass Black. mobiGlas is now on F1 on the Keyboard. Spacebrake is now on “X” (Keyboard) and “LeftShoulder+B” (Gamepad). Exit ship/Exit seats is now on “Left Alt+F” (Keyboard) and “LeftShoulder+Y” (Gamepad). Cycle Countermeasure is now “G” (Keyboard), and “Dpad Down” (Gamepad). Launch Countermeasures is now Hold+“G” (Keyboard) or Mouse Button 4, “RightShoulder” (Gamepad). Throttle Min/Thottle Max is now “Backspace” (Keyboard) as a toggle. Self-Destruct and Force Respawn are now “Right Alt” + Hold “Backspace” (Keyboard), and “LeftShoulder + RightShoulder” + “X” (GamePad). The keybinding changes are very extensive and we strongly recommend that players review the keybindings in-game. For those players who desire the old keybind layout, we also have Legacy keybinding profiles available for Gamepad and Keyboard.These are located in the game menu under Options → Keybindings → Advanced Keybindings → Control Profiles. “Keyboard Legacy” and “Gamepad Legacy” will have the old pre-2.4.0 keybindings with only minimal updates to prevent conflicts. Fixed an issue where a lighting effect on the elevator doors would pop as the doors opened and closed. Fixed an issue where a bright light was flickering on and off in the center of AstroArmada. Toned down some of the lighting in the Customs area of ArcCorp. Fixed an issue where the visual effects for the Sphere outside of TDD Jobwell were missing. Fixed an issue where the Cubby Blast sign had some texture clipping and conflicts. Fixed an issue where the Yela asteroid were missing a number of graphical detail levels. Fixed an issue where Quantum Traveling to an object would sometimes cause the player’s ship to be moved about 3000m in a random direction. Fixed an issue wherein ramming another player’s ship and destroying your own ship in the process, would give the other user a Criminal Wanted level. Fixed an issue where the Audio for Comms Array activation and deactivation was playing globally across the server. Made changes to the look of various glass materials throughout Crusader. Fixed some visual issues when flying up to and landing on CryAstro Stations. Fixed an issue where the door frames in the VFG Industrial hangar were missing detail levels. Added the ability for characters to suicide in Arena Commander. Precision mode velocity damping now only applies to strafe. Strafe is no longer affected by the space-brake. Fixed an issue where pilots who entered certain landed ships would sometimes see the artificial horizon holo-disc grow huge on their screens. Fixed an issue where several ships would take a very long time to destroy unless their cockpit took damage. Fixed an issue where the 300i and 350r landing gear would hover a few inches above the landing pad. Fixed an issue where maneuvering thruster audio on the Aurora LN was repeating excessively at moderate-to-high volume levels. Fixed an issue where the zoom-camera for the Avenger HUD would pull the camera too far toward the left or right when zooming in on screens. Fixed an issue where the Avenger (all) would drain fuel very quickly when using boost or afterburner. Fixed an issue where the Avenger Warlock was missing its Visor HUD information. Fixed an issue where the zoom camera for the Cutlass Black HUD would pull the camera too far downward when zooming in on screens. Fixed an issue where the entrance audio for the Cutlass Black did not attenuate over distance or direction. Fixed an issue where the ramp suspension had no collision for all Cutlass variants. Fixed an issue where the turret seat of the Cutlass Black was hovering inside of the cargo bay until it had been interacted with. Fixed an issue where the left wing landing gear of the Gladiator would sometimes spawn in deployed for Arena Commander matches. Fixed an issue where the Gladiator exterior lights were not aligned to the body of the ship. Fixed an issue where the zoom-camera for the Gladius HUD would pull the camera too far toward the left or right when zooming in on screens. Fixed an issue where the Gladius pilot had no strafe animations. Made some minor art and visual effect tweaks to the Hornet series of ships. Improved damage states to the Hornet series. Added new graphical detail levels. Fixed issues with the landing gear door, right weapon hardpoint, and missile bay positions. Fixed how the pilot hands connect to the joystick and controls of the Hornet. Fixed cockpit lighting in the Hornet. Removed some older ship animations that were causing the nose of the ship to lift up. Added improved canopy eject animations. Fixed an issue where using automated landing on the Khartu-al would sometimes cause the ship to strafe….forever. Fixed an issue with the Khartu-Al where flying close to objects would cause the ship to rapidly switch between landing and flight mode. Fixed an issue where the Merlin maneuvering thrusters were missing graphical detail levels. Fixed an issue where the zoom camera for the Retaliator HUD would pull the camera too far toward the center when zooming in on screens. Fixed an issue with the Aegis Sabre where the color and damage shaders were visible on the interior of the landing gear doors. Fixed an issue where character who walked past a ladder in the Starfarer would automatically climb the ladder. Fixed an issue where there was a flickering white light around the external gangway of the Starfarer. Fixed an issue where the captain’s seat on the Starfarer had no “Use” prompt. Fixed an issue where panels in the Starfarer Docking Collar were reversed. Fixed an issue where the Vanguard Warden’s missile racks could be attached to any ship. Fixed an issue where both the Max Ox Neutron Cannon (S1 and S2) were unaffected by overheating. Fixed an issue where characters would not lift their leg when EVA’ing around the Port Olisar rings. Fixed an issue where the helm flashlight had a blur effect inside of ships. Fixed an issue where the wheels and glass on the Greycat Buggy had graphical detail problems that would cause it to pop in and out at close range. Fixed an issue where the Greycat Buggy was spawning with its wheels partially in the floor of the Hangar and ArcCorp. Fixed an issue where the FPS Radar was oriented to the helmet and would rotate with it, instead of moving with the player. Fixed an issue where the small arms fire from FPS weapons would not manifest inside of a ships physics grid.Gun battles inside of ships are now fully possible! Fixed an issue where the Devestator-12 Energy Shotgun damage abruptly dropped off at a certain distance. Fixed an issue where swapping an Arrowhead Sniper rifle for another weapon would leave the Arrowhead rifle floating in mid-air. Fixed an issue where players could not pick up dropped Arrowhead Sniper rifle. Fixed an issue where headshots taken with the Arrowhead Sniper rifle wouldn’t register past a certain distance. Fixed some visual effect issues with the Arrowhead Sniper Rifle. Fixed an issue where characters would drop their gun both when unholstering and when switching weapons. Fixed an issue where the HUD Interaction cursor was not properly aligned with multi-function displays, making it difficult to cycle screens. Fixed an issue where users could not rotate a turret with a HOTAS or Joystick peripheral. Fixed an issue where certain keybindings were saved to the incorrect peripheral and were not saved on restart. Fixed an issue where the “double tap” binding for player keybindings was not saving correctly. Fixed an issue where the HUD Icons on the helmet holoradar were affected by motion blur, causing them to stretch when turning or looking around. Fixed an issue with where the controls were not correctly mapped for the X52 joystick. Made some graphical performance tweaks to the Constellation Andromeda. Made some continued performance improvements to the game servers. Fixed some significant lag tied to the chaff visual effects. Fixed a series of freezes and other performance problems that would occur on certain CPU’s, particularly when in the Tutorial game mode. Baelius, TheDon and Phoenician like this. $10, $20 if you want phat lewtz, and you don't even haft to commit to the rtelationship. Is that ship dead or is that just pieces falling off after damage? pieace falling off after damage. Improvements and additions to the Port Modification app. • In-game insurance is now available. • Fixed several Code 7s and the infinite load screen issue. TheDon and Light Cavalry like this. Is there a rough estimate of how far off a live release we are? seeing as they just added new features I would figure atleast another week, but as it stands right now some of the new features like the ship hardpoints and such are difficult to use and require further development. 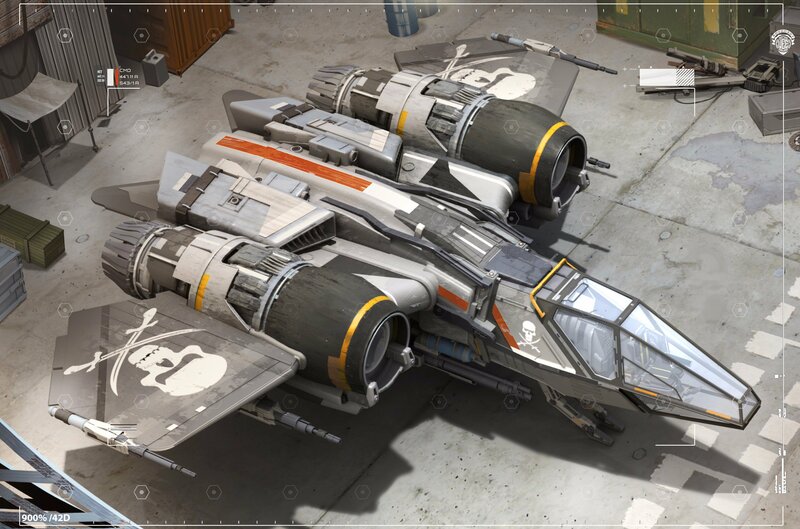 I would not be surprised if the reliant becomes flyable and an outlaw station come before a live release but that is pure conjecture. Well, I just bought a 1 month sub pass since I absolutely couldn't bear not being in it still and now that I'm working for the summer I can afford it. I am still debating the 1 month pass to get into the PTU. Do you think it would help your chances for future PTU? That might make it worth it. To acess those points you need to press (in my case) "right alt" and "-" to go into arrow mode so you can click the acess points. BadIronTree and Light Cavalry like this. If the servers are full it's a pain to play for me. I get like 15 frames and a lot of mini freezing. Is it only stuff you buy that persists between game play sessions? I believe that its only stuff you buy and the credits that carry over between sessions.